CANTON, Mass. (July 16, 2013) – Baskin-Robbins, the world’s largest chain of ice cream specialty shops, is keeping its celebration of National Ice Cream Month going by revealing what a person’s favorite ice cream flavor says about them, and by offering its fans the chance to win a year’s worth of Baskin-Robbins ice cream through its National Ice Cream Day Twitter sweepstakes. 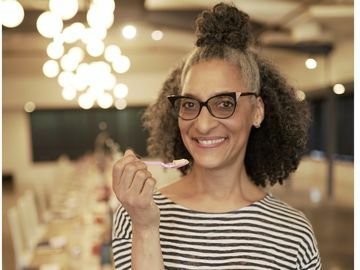 Baskin-Robbins recently partnered with Dr. Alan Hirsch, a nationally recognized smell and taste expert and founder of the Smell & Taste Treatment and Research Foundation, to identify what some of the most popular ice cream flavors suggest about someone's personality. 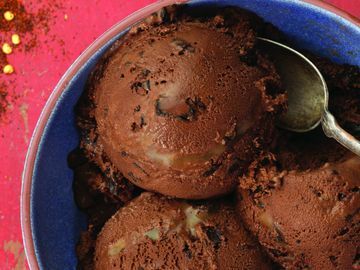 The findings uncovered some interesting insights into ice cream fans’ unique characteristics based on their favorite Baskin-Robbins ice cream flavor. 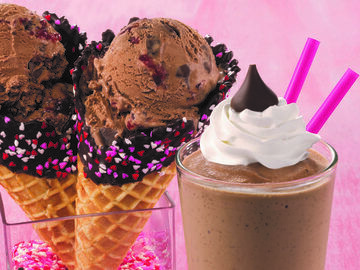 To celebrate National Ice Cream Day on Sunday, July 21, Baskin-Robbins is launching a Twitter sweepstakes to give ice cream lovers a chance to win one of ten $31 Baskin-Robbins gift cards. In addition, one grand prize winner will receive $260 in Baskin-Robbins gift cards, enough for them to enjoy their favorite ice cream flavors for an entire year. 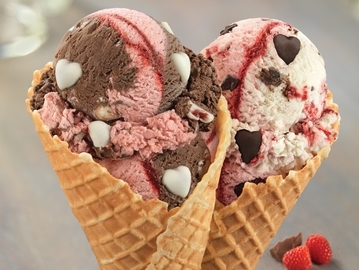 On July 21 from 9:00am-5:00pm EST/6:00am-2:00pm PST, followers of @BaskinRobbins who Tweet the ice cream flavor they think goes best in a waffle cone using the special hashtag #BRflavors will be entered for the chance to win. For official rules and additional details about the sweepstakes, visit www.BaskinRobbins.com or follow @BaskinRobbins on Twitter. 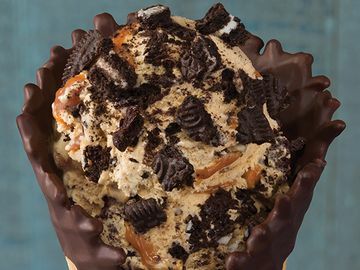 As part of its celebration of National Ice Cream Month, Baskin-Robbins is also offering guests a free freshly-baked waffle cone upgrade with the purchase of a double scoop of Baskin-Robbins ice cream. The offer is available at participating Baskin-Robbins shops nationwide throughout the months of July and August. For more information about Baskin-Robbins and its wide variety of ice cream flavors and frozen treats, visit www.BaskinRobbins.com or follow us on Facebook (www.facebook.com/BaskinRobbins), Twitter (www.twitter.com/BaskinRobbins), Pinterest (www.pinterest.com/BaskinRobbins31) and Instagram (www.instagram.com/BaskinRobbins). Adults, aged 18-65, residing in the United States, completed the following standardized comprehensive psychiatric and personality tests: the Million Clinical Multiaxial Inventory-III (MCMI-III), Minnesota Multiphasic Personality Inventory-2 (MMPI-2), Beck Depression Inventory, Zung Anxiety and Zung Depression test batteries. DSM-IV-TR™ diagnoses and traits were determined. Results were statistically correlated with ice cream hedonics looking for statistical significance defined as p<0.05. To facilitate lay understanding, these results were delineated in informal language.